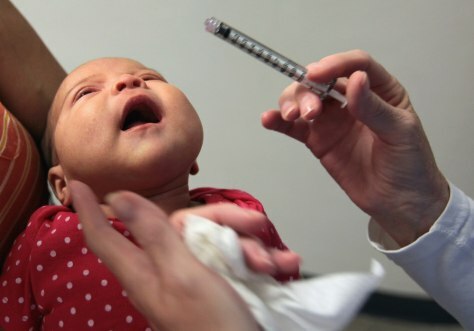 Two-month-old Karina Arredondo receives drops of children's Tylenol after getting a vaccination at the low-cost Rocky Mountain Youth Clinic in July. Tylenol is widely used right before or after a shot to prevent fever and fussiness. But new research suggests this may backfire.